The compressor rotor has a small clearance during operation, which guarantees high performance. However, dust particles can cause damage, degrade performance, and potentially increase operating costs. United osd compressor air filters can protect high-tech screw rotor. 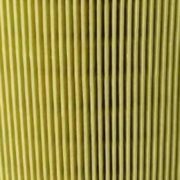 Our alternative United osd compressor air filters are made of imported filter paper, allowing a large amount of air to enter the machine freely with a small differential pressure. Far beyond the performance of other manufacturers’ components. We developed the composite materials together with foreign suppliers, which has the filtration precision of nanometer. This material has the characteristics of moisture resistance, good stiffness, etc., and can maintain efficient particle interception and maintain low pressure loss.